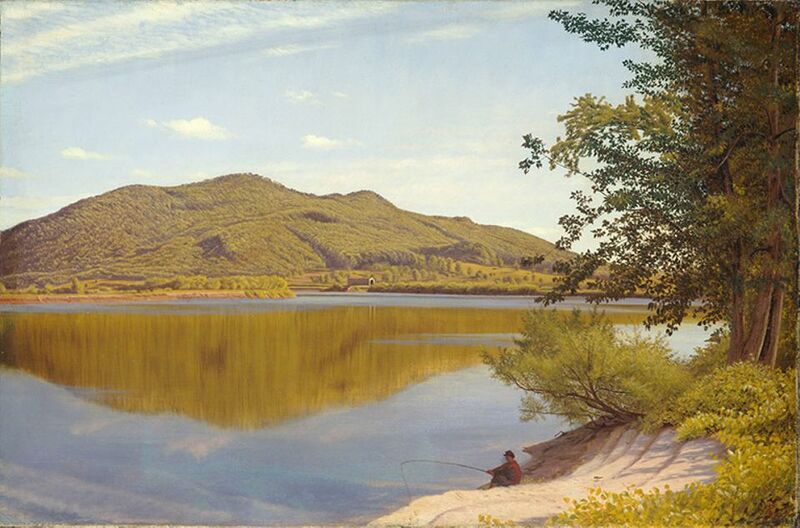 At first blush, Thomas Charles Farrer’s Mount Tom looks like any number of 19th-century canvases: mountains, trees, and water dwarf a tiny figure, this one a fisherman. 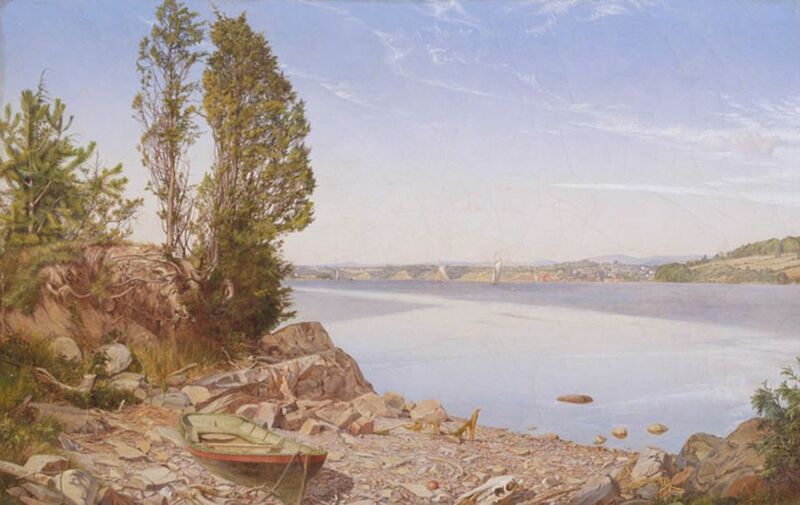 But all is not pastoral in this painting, which Farrer completed in 1865, the year the Civil War ended. The fisherman’s kepi cap—part of a Union soldier’s uniform—identifies him as a veteran; this could even be a self-portrait of the artist, who served in the Union army. “A reference to the recently concluded Civil War introduces a poignant note into an otherwise-tranquil scene,” said Linda Ferber, the director emerita and senior art historian at the New-York Historical Society, at a press preview of the National Gallery of Art’s exhibition The American Pre-Raphaelites: Radical Realists (until July 21), which she curated. The picture, a promised gift to the National Gallery, is one of several in the show to refer to the Civil War, if viewers know where to look for clues. The show also marks the 200th birthday of the English painter and art critic John Ruskin, and includes his watercolour Fragment of the Alps, which was painted about five years before the start of the Civil War. The American pre-Raphaelites, although less celebrated today than their English peers, proved the final catalyst for the launch of an American watercolour society, which in turn demonstrated to artists like Winslow Homer and Thomas Eakins that there was a market for this work, Ferber said in an interview. She also noted a strong “cult of nature” in the US at the time, and the impact of the Transcendentalist movement. “Americans were in love with American scenery. It was the great symbol of American identity for much of the 19th century,” Ferber said.